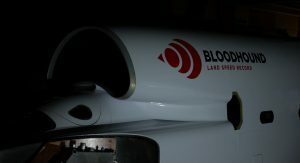 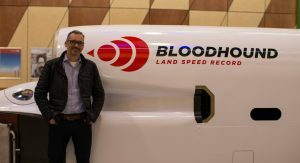 The Project Bloodhound is dead, long live the Bloodhound LSR; the land speed record project returns to business under a new owner, livery and branding, and with the promise to start high-speed tests as soon as possible. 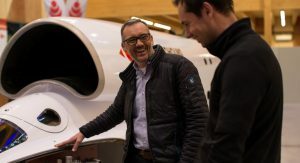 The effort will be coordinated from a new base at the SGS Berkeley Green University Technical College (UTC) in Berkeley, UK, under the ownership of Ian Warhurst. 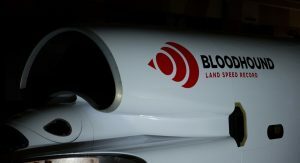 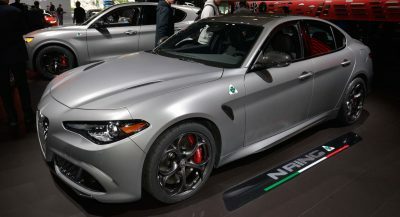 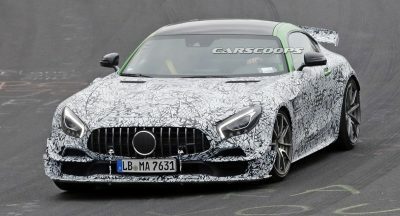 The car, presented in its new white-red livery, will still be driven by the current world land speed record holder Andy Green while most of the old team remains the same, including chief engineer Mark Chapman. 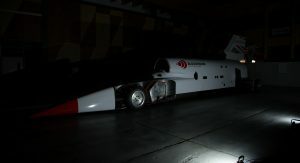 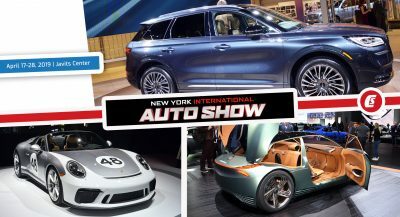 The plain livery of the jet car will change once discussions with potential sponsors reach fruition. 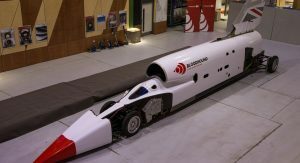 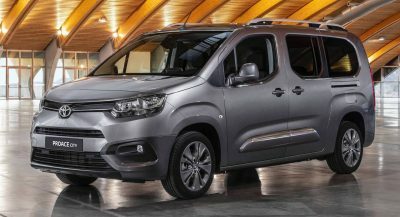 “We’re already having detailed discussions with a number of organisations about exciting new sponsorship possibilities, as well as talking to those involved in the previous phase of the programme,” said commercial director Ewen Honeyman. 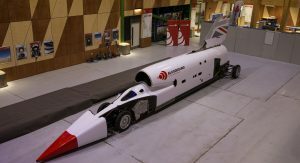 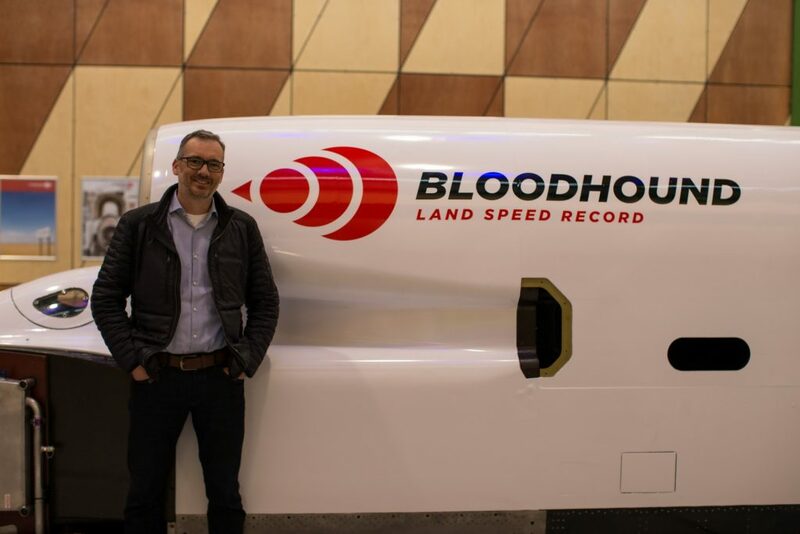 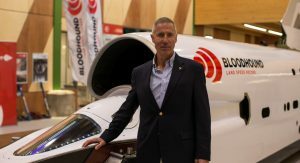 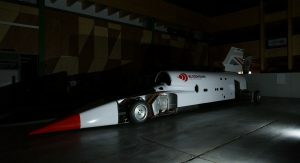 The Bloodhound LSR (Land Speed Record) will attempt to break the 1000mph barrier, with tests to take place at a specially prepared track in South Africa.